Qumran located on the north-western shore of the Dead-Sea. Qumran had a Jewish population as far back as the eighth century B.C. 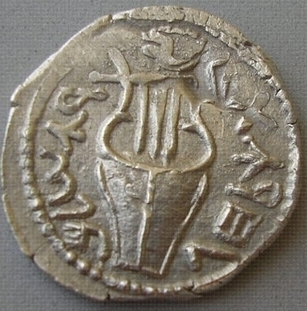 (Iron Age II). 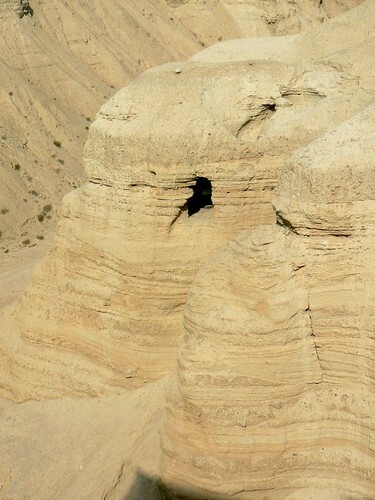 Qumran’s fame comes from a break-away sect, known as the Essenes, who lived and studied here for two centuries – from the end of the Hashmonean period, through the great revolt of the Jews against the Romans – and left in the surrounding caves a magnificent legacy, that we now call the Dead Sea Scrolls. 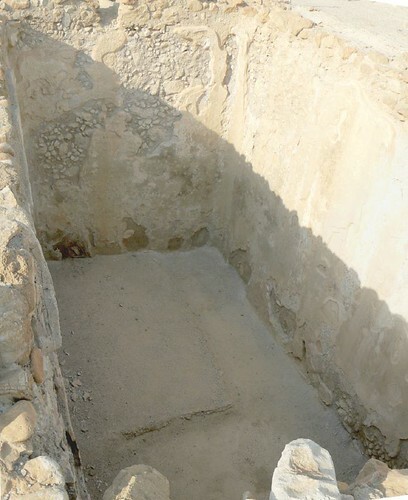 In 1947 Bedouins shepherds found seven ancient scrolls in ths cave.Between 1951-6 archaeologists found additional scrolls. 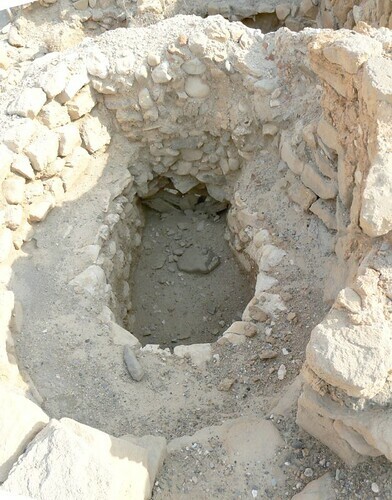 The scrolls were found in a series of caves (eleven caves) just to the west of the settlement . The scrolls was hidden in jars, included books of the Bible, the Apocrypha and the sect’s own works. 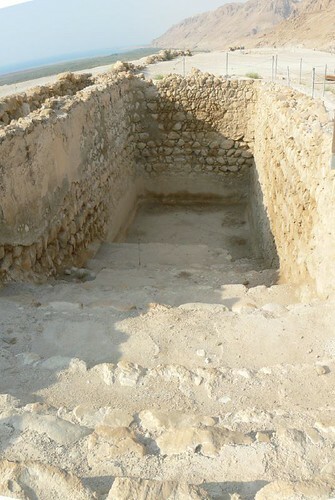 The Essenes arrived at Qumran towards the end of the second century B.C. , during the rule of either John Hyrcanus I or Alexander Yannai. 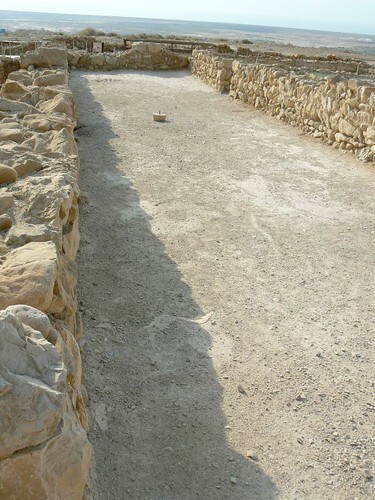 In 31 B.C., during the reign of Herod there was a serious earthquake in the area and the sect abandoned the site. 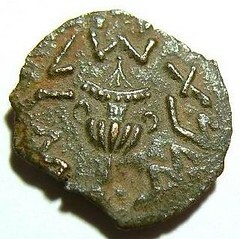 But a quarter of a century later, during the rule of Herod Archelaus (4-6 B.C. 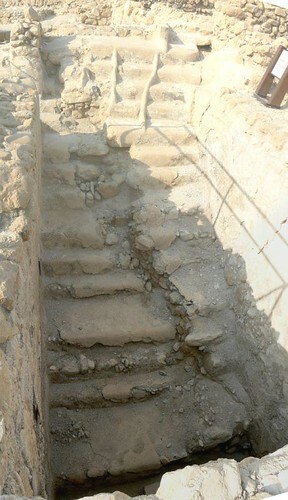 ), the Essenes returned to Qumran and rebuilt it. 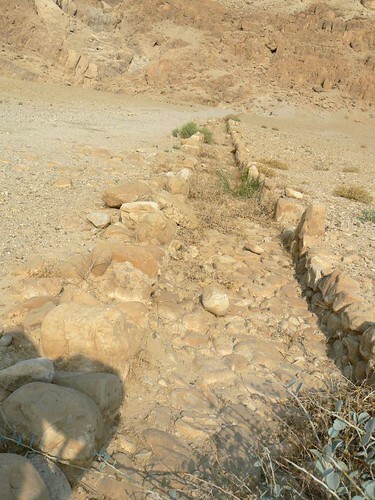 In 68 A.D. , during the great Jewish revolt, the Romans conquered Qumran and dispersed the sect. 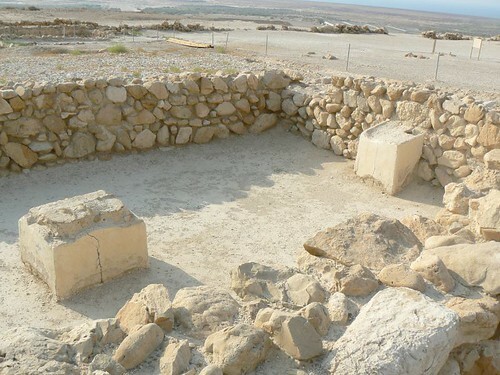 The last Known inhabitants of Qumran were members of a Roman Garrison stationed there during the Bar Kochba revolt (132-135 A.D.). The Essenes were ascetics, and as such, had paid great attention to ritual bathing and purity. 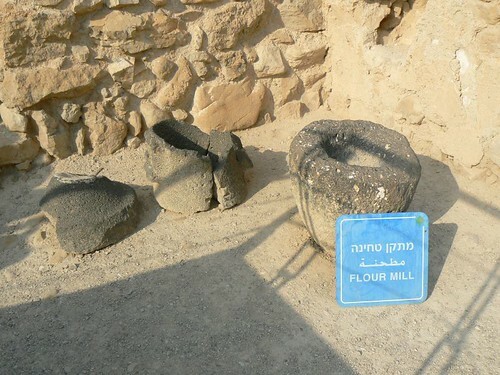 Qumran’s water arrived perhaps twice a year from run off of water brought down by rain. 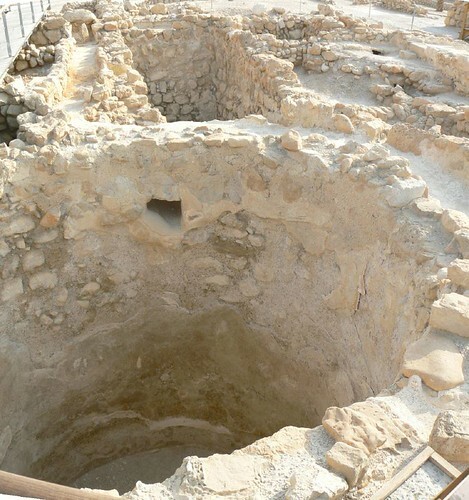 Water was one of Qumran’s most valued commodities and water management is an integral part of the site, as seen with the numerous cisterns and channels .